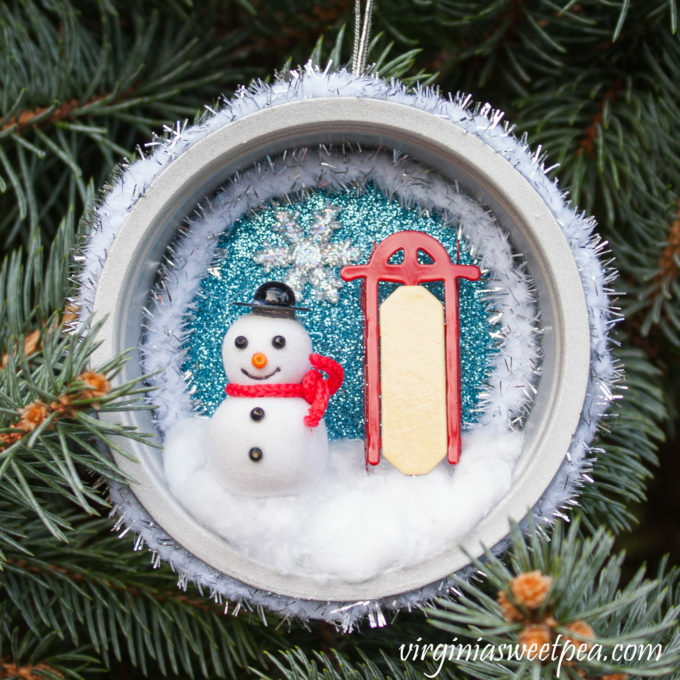 I’m excited to share with you my Handmade Winter Wonderland Christmas Ornament that I crafted using an upcycled pet food container. 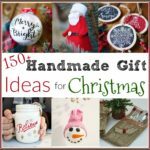 I know it’s only October, but if you like to make Christmas crafts, now is the time to gather ideas for things you’d like to make this holiday season. 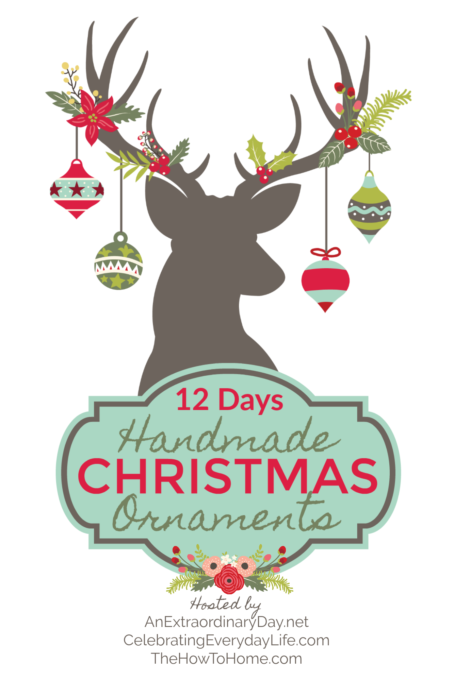 I am participating in the 12 Days of Handmade Christmas Ornaments hosted by my friends Diane at An Extraordinary Day, Mary Beth at The How-To Home, and Jennifer at Celebrating Everyday Life. 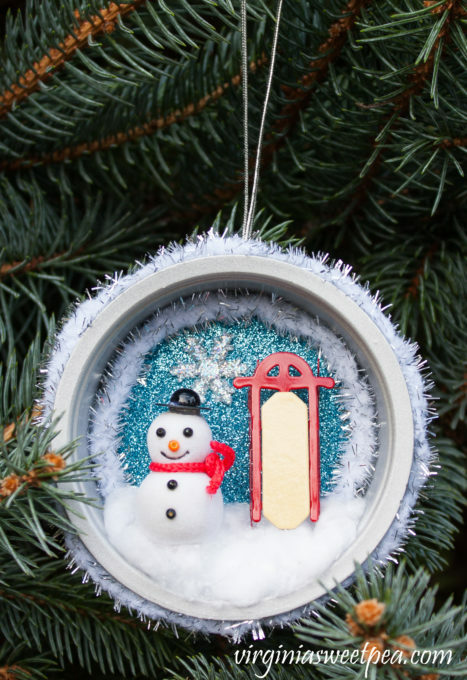 12 bloggers are sharing a handmade ornament for the first 12 days of October. It’s been so much fun to see the ornaments created so far this month and I’m looking forward to what is shared over the next four days. 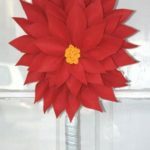 This is the 4th year for this blog hop! 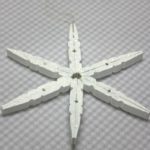 Last year I made a Sparkling Snowflake Christmas Ornament. 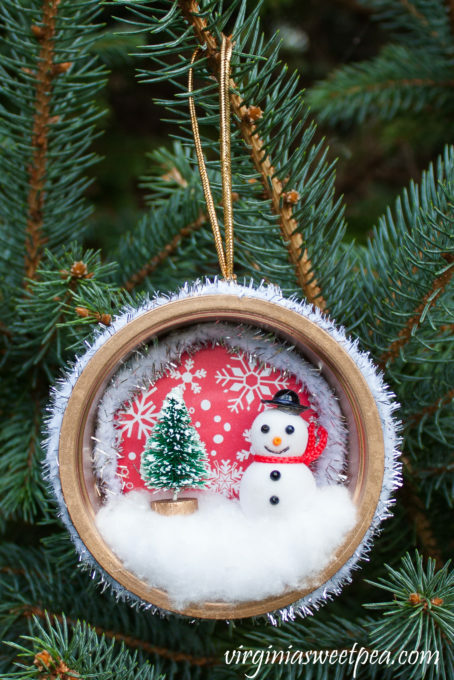 In 2016 I shared a Woodland Elf Christmas Ornament and in 2015 a Button and Felt Snowman Ornament . 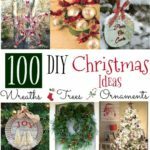 I look forward to this event each year and always get so many ideas for ornaments that I’d like to make. 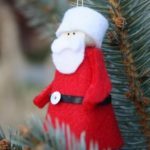 You’ll find links to all of the ornaments at the end of this post. 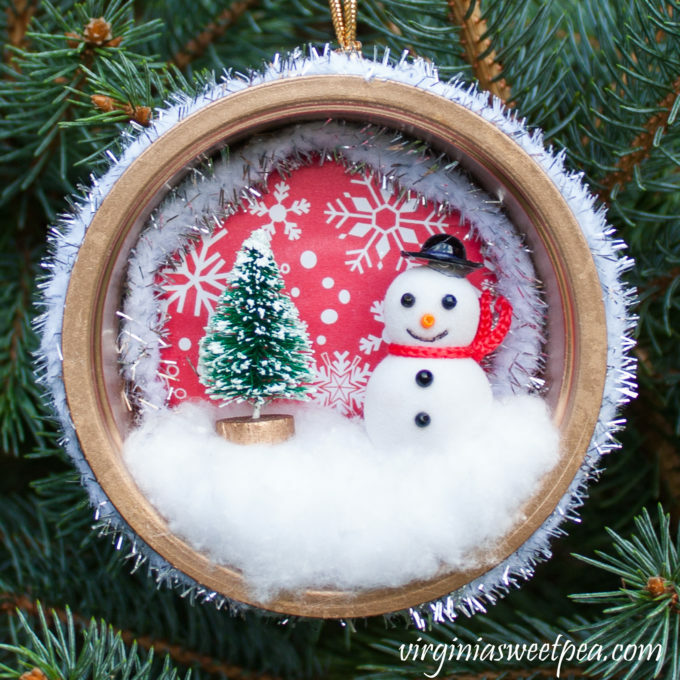 I can’t wait to show you how I made my Winter Wonderland Christmas Ornament. We’ve been hiding an anti-inflammatory medicine twice a day in a spoonful of this dog food that Sherman thinks is wonderful. 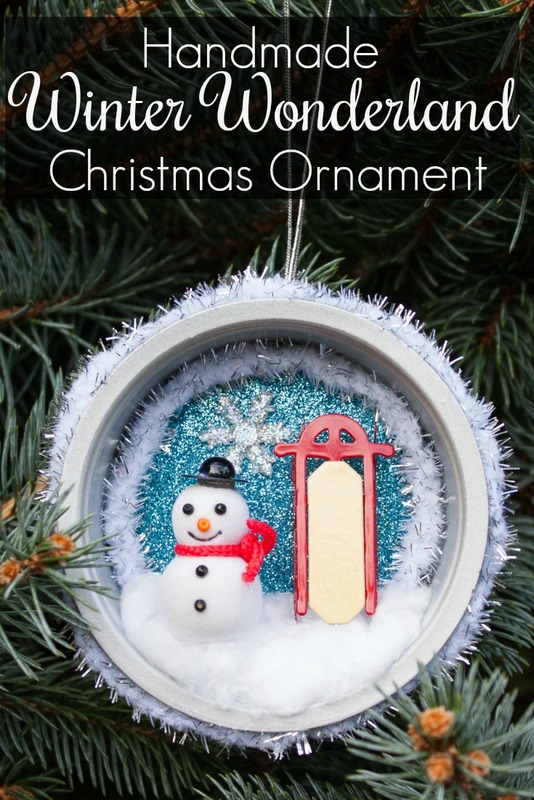 I noticed that the container is the perfect size for a Christmas ornament, so I challenged myself to upcycle a plastic pet food container into a beautiful ornament. 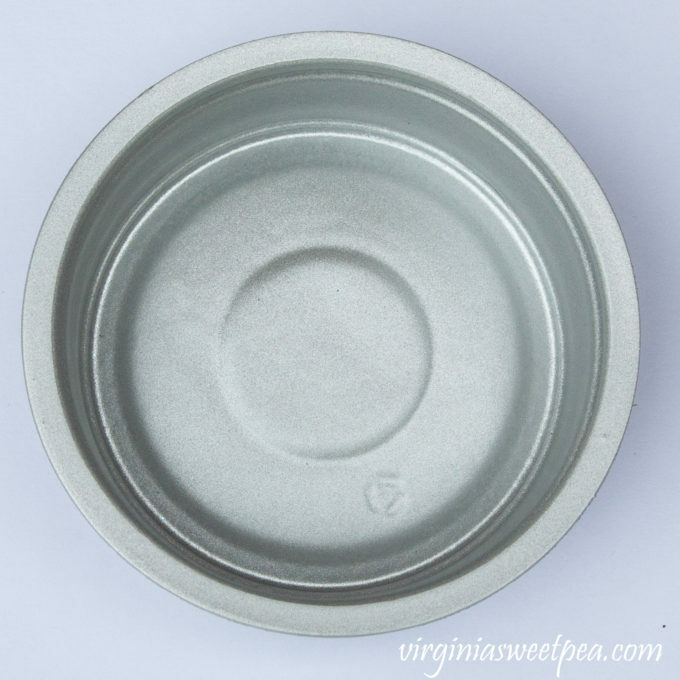 Wash the container and remove the label from the back. I put the container in the dishwasher to make sure that it was extra clean. Use spray paint to paint the container. I chose a silver color that I had on-hand. Cut a circle of scrapbook paper to fit the bottom of the container. 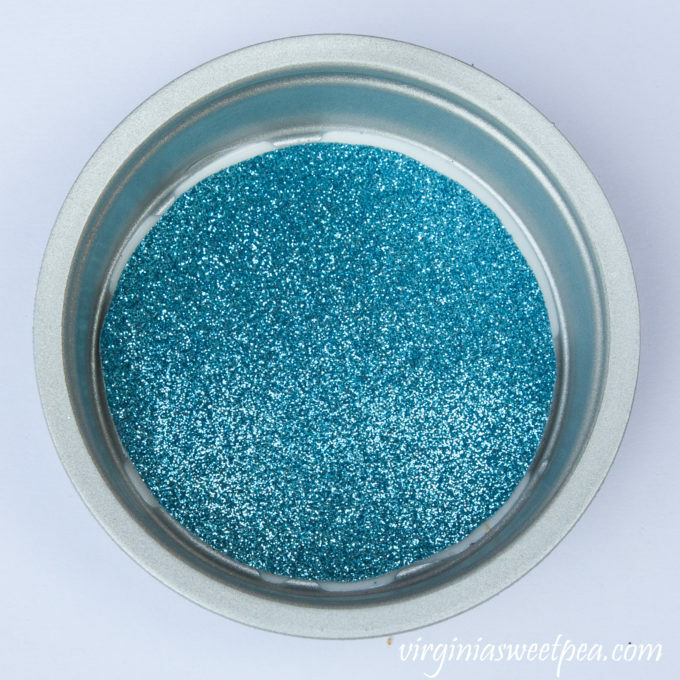 The glittered scrapbook paper that I used was thick and I had trouble with it not staying flat, so I weighted it with a small can of paint until the glue was dry. Use craft glue to add trim to the edge of the scrapbook paper and to the edge of the pet food container. I was having so much fun making my ornament that I forgot to take a picture of this step. 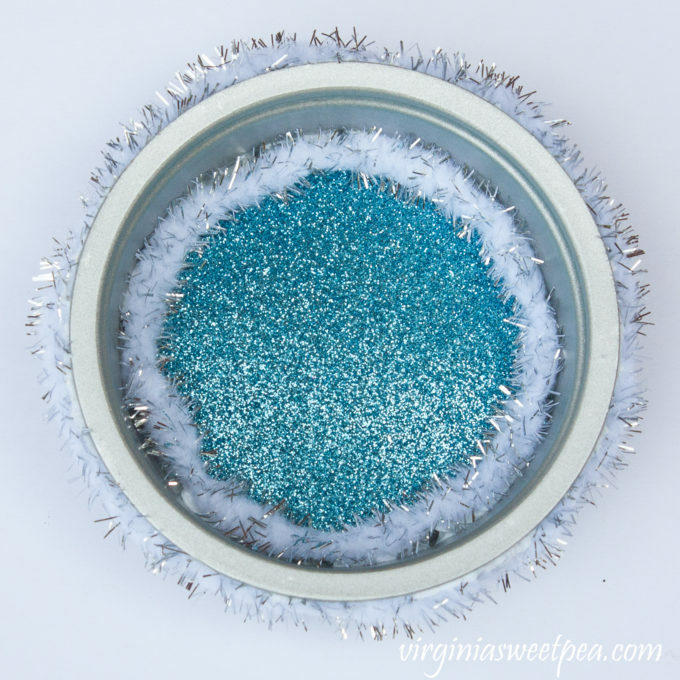 To make the snow, pull apart a cotton ball and glue it into place with craft glue. When dry, glue the snowman, sled, and snowflake into place. I used e6000 glue for this step for a more secure adhesion. 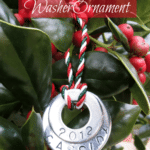 Glue a piece of silver cording to the top of the ornament for a hanger. Hang the Ornament and Enjoy! I’m really happy with what I created and can’t wait to hang it on my Christmas tree this year. While I was crafting, I made a second Winter Wonderland Christmas Ornament. For this version I painted the pet food container gold, used scrapbook paper with snowflakes on a red background and used the same snowman but this time with a tree. I am not sure which version I like best. One of my former students keeps in touch with me and I think that this ornament will be hers. She’s 18 and it won’t be long before she’s out on her own with her own Christmas tree to decorate. She can remember me each Christmas when she puts this on her tree. 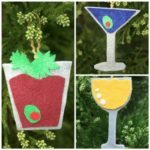 I hope you enjoyed seeing how I made these Winter Wonderland Christmas Ornaments. Thanks again to Diane of An Extraordinary Day, Mary Beth of The How to Home, and Jennifer of Celebrating Everyday Life for hosting this fun event. Now enjoy the ornaments that my creative friends are sharing. What an great idea – and so adorable! Thank you, Shelley! They were fun to make and before you know it, it will be time to hang them on the tree. Thank you, Marie! They were fun to make. OMG this is so cute! I love it! I like the sparkly paper you used! Thank you! I’m hoping that the sparkly paper will twinkle on a lit Christmas tree. Love these cute little ornaments, and I think it’s so sweet that you’re giving one of them to a former student. She’ll treasure it always, I’m sure. I think she will, Amy! She loves to craft and I’m planning to make your shrinky dink ornaments with her. Oh, Paula, it is so hard to choose but I think because I love sleds I’ll choose the first one. I love it when we make ourselves get creative with a throwaway. You rocked this for sure! You have made quite an impact on your student for her to keep up with you all these years. I’m sure she will be touched with your gift. Thank you for hosting this event every year, Diane. I get so inspired by the ornaments shared. I’m looking forward to giving the red and gold ornament to my friend. Last year I made clay ornaments for our porch tree and did one with her name on it. She had fun searching the tree to find her ornament to take home. Oh, Paula, this is so adorable! The little snowman is cuter than cute! I love how creative you are and I look forward to this hope every year as well. I’m so happy we get to do this together. Thank you, Mary Beth! I look forward to this tour every year. Thank you so much for helping to host it. I’m always up for recycling or reusing! This idea is so adorable. I LOOOOVE it. So many variations you can make with those cups! I love how cute this turned out, Paula! What a genius way to upcycle your pet’s cans…so clever! LOVE re-purposing everyday items. This is such a creative and fun idea! Very fun! Would also make cute gift toppers as well. Oh my goodness gracious… this is simply adorable! All thing miniatures are always a win-win too. Happy Holidays to you, Paula. Hugs! Very cute, Paula. 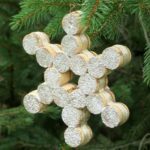 I need to start thinking about making ornaments soon! Thank you for sharing at Party In Your PJs! Turning something, that is usually throwing away, into such a cute project is just my kind of project! Love it! oh that is so sweet and adorable. Such cute snowman ornaments!!!! Pinning! I wish I would’ve thought of using a pet food can and cotton balls. 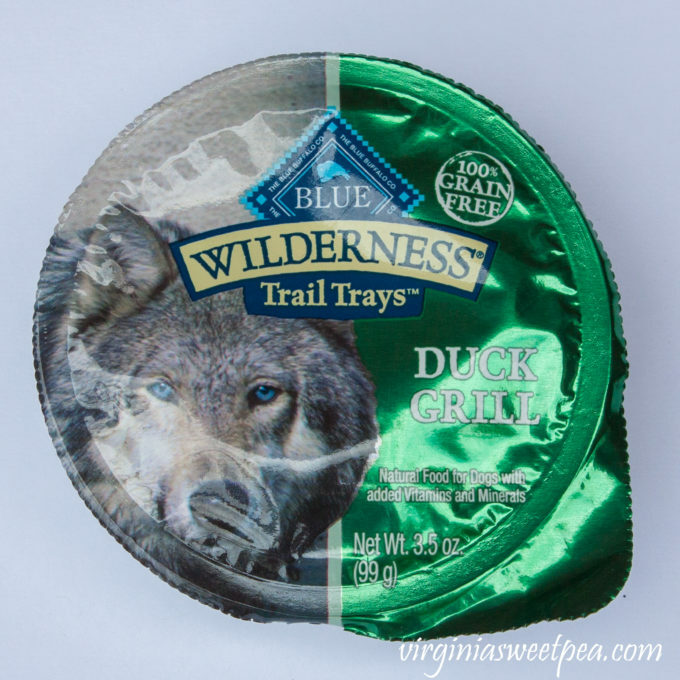 I would probably have bought Mason jar lids and polyfill. Lol! Also, you utilized scrapbook paper…I have oodles of that!